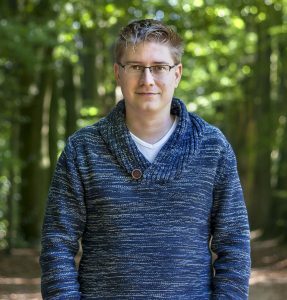 We want to welcome Jermo van Nes as a researcher at ILSE. He will introduce himself, by answering some questions. Welcome to the ILSE team. Could you tell something more about yourself? Than ks! My name is Jermo van Nes (32) and I am married to Astrid. We reside in Leuven, where we are expecting our first child. I was born and raised in the Netherlands. After secondary school, I moved to Leuven to study theology at ETF, where I finished my Bachelor and Master studies. Last year I successfully defended my PhD in New Testament, which was a joint doctorate of TU Kampen and ETF. It was on the peculiar language of the so-called Pastoral Epistles (1-2 Timothy and Titus), integrating New Testament studies, statistics, classics, and (modern) linguistics. What motivated you to join the ILSE team? The interdisciplinary aspect of my doctoral work convinced me of the value of doing trans- and interdisciplinary research. ILSE enables me to continue doing this: broaden my academic horizons and explore new research trajectories. It also gives me the opportunity to co-shape ILSE’s vision to serve (Christian) leaders by creating academic platforms for ethical and spiritual reflection. What hopes and dreams do you have for your future? I hope my academic experiences so far will prove helpful in the projects ILSE is and will be involved in. I also hope that God will be glorified through the work ILSE is doing, that people will sense that our work is not just an academic exercise but instead meaningfully shapes the kingdom of God.